Thank you Jon Vanderford for the wonderful interview with John Haddix of Abbott Antiques. Click the blue link to see John’s segment already shown on Pure Nebraska. In the featured photo Jon is filming at April Kitt’s Nook. 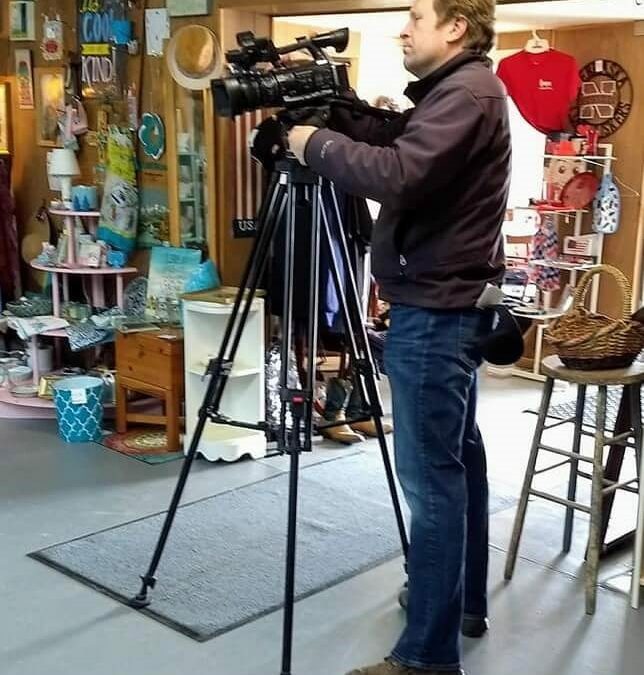 Stay tuned to Pure Nebraska for upcoming stories about additional Sargent Antique Dealers. We are on winter hours. If driving a distance, please make arrangements with John by calling 402-350-6740. John will try to get as many stores as possible open for you. Or call any Sargent Antique store of your liking. Any member of our fun Antique Team will be glad to help you! All locations (baring a family emergency) are open the Third Saturday in the Winter. Each location has different Winter hours. Please call ahead so we can send a group text out!